St. Petersburg Bad Faith Insurance Attorney | Williams Law, P.A. In an ideal world, insurance companies would look out for a policyholder’s best interests. They would honor the terms of every policy and provide full and fair offers for viable claims. Unfortunately, the insurance system does not always work so smoothly. When insurers fail to act in good faith during the claims administration process, the team at Williams Law, P.A. is here to help. We represent individuals in both first party and third-party insurance claims in St. Petersburg. Insurers who fail to provide fair benefits for valid claims under the terms of the policy are acting in bad faith. At Williams Law, P.A., we’ve successfully represented clients in insurance claims since 1995. We have a reputation for success in south Florida and a deep understanding of the insurance claims processes in our state. If an insurer has not treated you fairly, let us know. We have the resources and capabilities to hold even the largest insurers accountable for acts of bad faith. Purposefully misinterpreting the terms of a policy to deny or lower a claim payout. Making unreasonable requests for evidence of loss. Failing to reasonably investigate a claim before issuing a settlement offer. Failing to communicate with a claimant in a timely manner. Failing to complete the claims process within a reasonable timeframe. Failing to disclose the full terms and limits of a policy. Coercing a claimant to accept a settlement. Making an honest claim mistake and taking steps to correct it. Refusing coverage in claims involving policyholders who fail to pay their premiums. A policyholder’s agreement to settle outside of an insurer’s investigation. Offering a justified low settlement to a claimant. To prove bad faith, we must demonstrate the insurer acted unjustly during the claims process and had knowledge of the unfair treatment. Count on our office to identify acts of bad faith and protect your rights under the law. Discuss your dissatisfaction with your claims representative. Let the insurance company know your concerns and give their team an opportunity to address the situation. Follow up all verbal communication with a written email or letter to create a record of your attempt to work with the company. Do not accept the settlement. 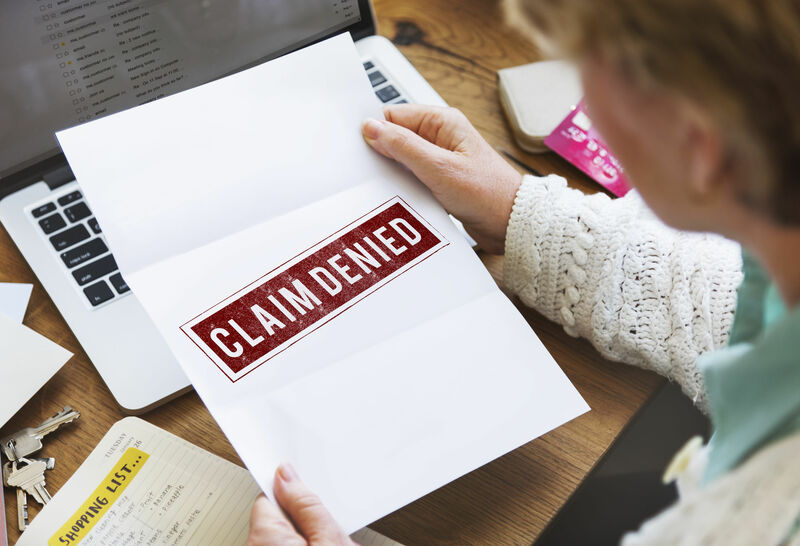 If you have a feeling that something isn’t right with your claim, do not accept the claim payout. An acceptance says you agree with the company’s decision. If you agree, you will not succeed in a bad faith claim. Talk to a local bad faith attorney. Many shady activities can constitute bad faith in the insurance industry. 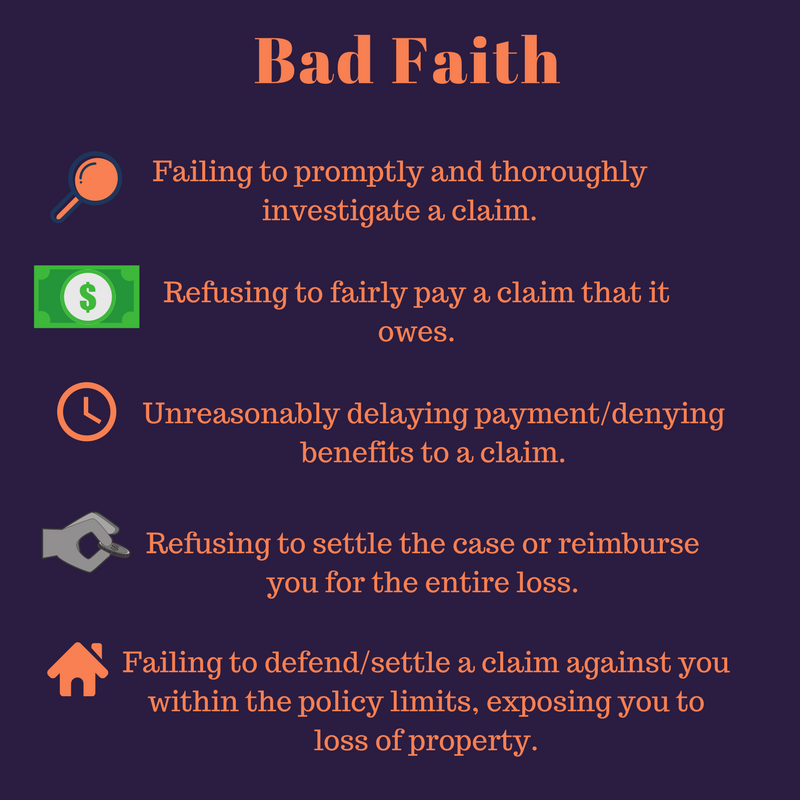 Consult an attorney to determine if your claim does involve an act of bad faith. At Williams Law, P.A., we help you take the next steps to prove bad faith and secure compensation. If you have a valid bad faith insurance claim, you may receive more than the policy benefits would have allowed under normal circumstances. The courts may award full compensation for all your losses and punitive damages (in cases involving extremely egregious acts). Don’t wait to seek legal advice if you suspect insurance bad faith. An early investigation will allow our team to secure the evidence needed to prove bad faith. Williams Law, P.A. works with bad faith insurance claims of all kinds ranging from auto insurance bad faith to homeowners’ insurance bad faith. As a well-known insurance claim lawyer in Florida, K.C. Williams can help you hold an unethical insurer accountable for your losses. For more information on our practice and a free case evaluation, contact our office in St. Petersburg today.